and announce guitarist Ron Ish as a permanent member! As It Is have wasted no time in kicking off 2019. The band has released their new music video for ‘The Fire, The Dark’. 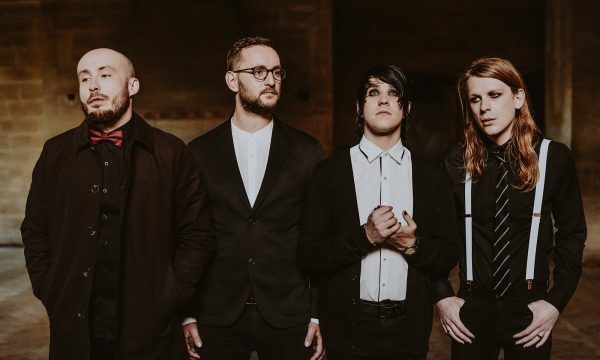 The video features footage from the band’s recent coming of age UK headline tour (their biggest to date) and also serves as a special “welcome” to guitarist Ron Ish, who is now an official member of As It Is. ‘The Fire, The Dark’ is the latest single from The Great Depression, released via Fearless Records last year. The album, produced by legendary producer MACHINE (Lamb Of God, Every Time I Die), is comfortably As It Is’ most layered and technically accomplished release to date. Music videos for ‘The Wounded World‘, ‘The Stigma‘ and ‘The Reaper‘ further prove the creative and storytelling power of the Brighton-based quartet. Following their current North American headline tour, the band return to the UK for ‘The Intimate Depression’ tour of the UK, with support on all dates coming from Modern Error.